Home and contents insurance provides financial protection for property owners, however amid rising premiums it is important to make sure that the policy chosen will provide the level of coverage required. Among the different types of home insurance available, home and contents insurance provides for a combination of cover, comprising the building itself and a range of items within, with the specifics of the cover provided varying from policy to policy, along with individual requirements. 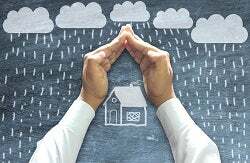 Insurance costs have been rising steadily in recent years, with Statistics New Zealand’s household expenditure statistics for the year ended June 2016 showing that average weekly household expenditure on building-related insurance was up 7.5 per cent year-on-year, totalling $30.8. By way of comparison, for the year ended June 2011 average weekly household expenditure for building-related insurance was $16.6. As insurance costs rise, having the potential to make a significant dent in household budgets, it is important that home owners choose a home and contents policy that will deliver both the cover they require and value for money. So, with this in mind, what should home owners look for when choosing a policy and what are some of the options available? Given the range of home and contents insurance policies available (with policies sometimes bundled together and sometimes sold separately), it is important to understand what these policies refer to. Broadly defined, house insurance covers damage to a house, while contents insurance covers damage to property within a house, with the specifics of the cover provided depending upon individual policies. It is important to make sure that you are insured for the right amount in determining the make-up of your home insurance policy, ensuring that should you need to use your policy you will receive suitable coverage. In determining a sum insured amount, consumers will need to calculate the cost of rebuilding their home, with it potentially worthwhile talking to a professional such as a registered valuer in arriving at this figure. Consumers may also wish to use the Cordell online calculator, which will estimate the replacement cost of a home. When it comes to contents insurance, insurance providers may also provide tools to assist in determining value. Consumers should take care to ensure that they have adequate coverage for individual possessions, as policies may have restrictions on claim amounts for certain items. In such cases, consumers may look to arrange for their policy to provide specific areas of extra coverage. 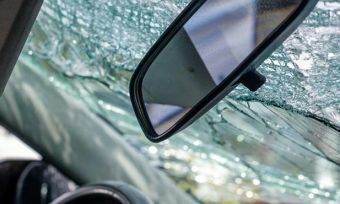 It is also important to be aware of what events you are covered for (such as theft, accidental damage or natural disasters), as there may be certain events not covered by a policy. Shop around and consider all options when choosing a home and contents insurance policy – research the policies and services on offer from different providers, and reference customer reviews online. It is worthwhile considering the range of online services on offer by respective providers, which may include account management and monitoring tools, and being aware of how the claims process works. Consumers should also keep in mind the range of payment options provided, including payment frequency. Consumers looking to reduce the cost of their policy may also have the option of increasing their excess (the amount they will need to contribute towards a potential claim). Above all, check the fine print, and make sure that you have the cover you specifically need. 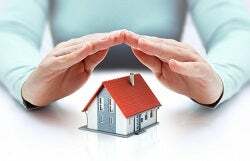 The following are some of the home and contents policies on offer from insurance providers (for further details and the specifics of respective policies, it is worthwhile visiting the insurance provider’s website). AA Insurance states that customers who use both its home and contents cover will pay less for each policy. State allows customers to combine their home and contents insurance with its HomePack offer, with HomePack still counting as two policies towards a multi-policy discount. Other insurers, including AMI, Westpac and ANZ, offer discounts for customers who take out multiple policies, such as separate home insurance and contents insurance policies, and it is worthwhile keeping this in mind when considering the total cost of insurance.